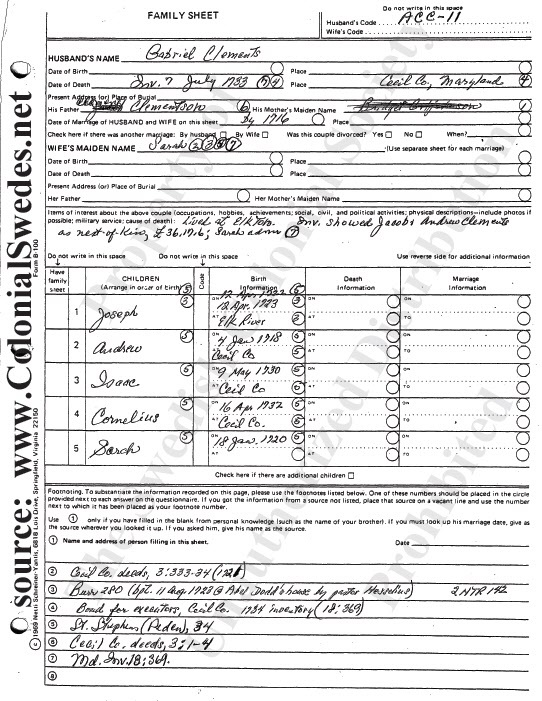 This package includes all Peter Craig’s annotated family group sheets for the first three generations of the Gabriel Clements branch of the Anders Clementson family. It is 317 pages long and contains materials relating to Gabriel Clements (-1733) m. Sarah; his parents Clement Clements m. Margaret; grandparents Anders Clementson (-1687) m. Ingebor. Also included is all relevant correspondence about Clements in the South. It also contains a Dictionary (MS Word doc) of the abbreviations used by Peter Craig for many of the references in his family group sheets. This package documents the line of Gabriel Clements who died early after siring 5 children baptized at St. Stephens Church in Cecil County, MD, 1722 to 1732. Andrew, Joseph and Cornelius Clements appear as settlers involved in an Indian incident in Georgia in 1756. These are likely three sons of Gabriel from Cecil County. 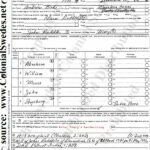 Baptismal records and Revolutionary War pension applications document the movements of a few members of the family in the next generation to Virginia, North Carolina and South Carolina. 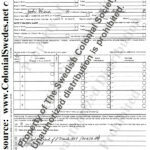 A very dedicated group of Clements descendants has pursued documentation, and their Y-DNA proves them to be of Swedish ancestry. 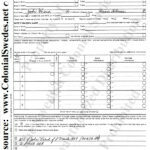 Peter Craig was of the opinion that their documentation was good enough to approve a Forefather application for one such descendant. So, this package presents ALL of the materials in Peter Craig’s correspondence relating to these Southern Clements. It includes Peter’s statement that he was 90% certain that the three Clements involved in the Indian affair in Georgia were the sons of Gabriel. Their Y-DNA proves that these particular Southern Clements are of Swedish descent, but it fails to determine the lineage of Preston Clements, the patron’s earliest proven ancestor. Buried in this huge pile of documentation is the clue that Preston is a Goforth family name. The best route forward is through autosomal DNA, the Family Finder test, but that analysis is time consuming and technical. We thank our member Sandra Bourassa of Murrieta, CA for sponsoring this package. SKU: GC. Category: SCS Family Sheets.